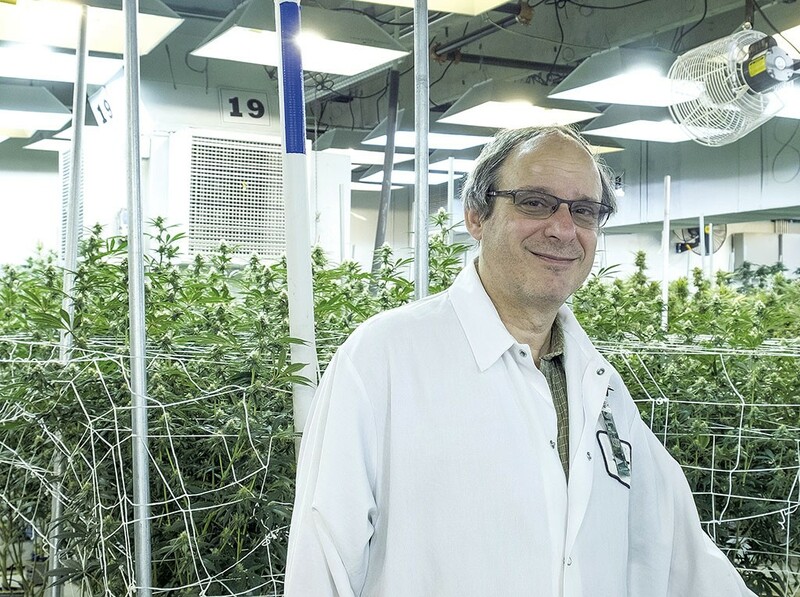 In David Sandelman's work, little difference exists between producing blue cheese, the ripened dairy product, and Blue Cheese, the indica-dominant strain of cannabis: To create either one successfully requires careful control of the products' temperature and moisture levels throughout the aging and curing process. Get them wrong, and the finished product could end up rancid or moldy. Sandelman knows all about building systems that control temperature and dew point, whether for aging cheese or growing weed. He's the inventor of Cannatrol, a soon-to-be-patented technology for propagating, growing, curing and drying cannabis buds. Currently, users of his system are large commercial growers in Colorado that supply medical and adult-use dispensaries. But Sandelman is also developing a small-scale version of his system that will greatly simplify and standardize the bud-finishing process for home growers, too. The Green Mountain State is likely to have many such aspiring green thumbs once the marijuana legalization law takes effect on July 1, because it will allow for home propagation only and not retail sales. Sandelman, who lives in Perkinsville with his wife and business partner, Jane, had no involvement with the world of cannabis before last year, and he came to it circuitously. The 60-year-old Brooklyn native started his career in electrical and mechanical engineering — specifically, building control devices for industrial boilers and cooling systems — in New York City in the 1970s. In the midst of the 1979 energy crisis, he applied for his first patent (he now has 14, with three more pending). It was for a digital clock thermostat he invented that enabled homeowners to replace their old two-wire "hockey-puck" thermostats with more energy-efficient, programmable ones. Throughout his more than two decades of working in the corporate world, Sandelman designed and built control systems ranging from those used in the Internet of Things — such as one that enables a home air conditioner to be controlled with a cellphone — to those used in the weapon systems on fighter jets. Regardless of the application, Sandelman explained, the fundamentals are the same. "It's a box. It takes data in, it puts data out, and it makes some decisions," he said. "Whether it's turning on your boiler or letting a Sidewinder missile take off from under the wing, it doesn't matter to me." After the dot-com bubble burst in 2001 and venture capital for Sandelman's projects dried up, he and his wife moved to Vermont and bought an abandoned, 18th-century farmhouse and former stagecoach stop in Perkinsville. They renovated the building and opened it in 2002 as the Inn at Weathersfield. The Sandelmans' B&B opened for business just as Vermont's farm-to-table movement was coming into its own. When guests entered their restaurant, a blackboard listed all the local farms that had provided the meats, cheeses and produce used in the meal. "We were passionate about buying local," Sandelman recalled. "It wasn't unusual to sit down in the restaurant and be having dinner with the farmer a table or two away from you ... who raised the beef or lamb." The Inn at Weathersfield gained national prominence after it was featured in the PBS series "The Endless Feast." In 2008, Bon Appétit magazine named it a "Top 10 Culinary Inn." In 2009, celebrity chef Emeril Lagasse toured the farms where the inn sourced its food, then cooked a meal on TV with then-head chef Jason Tostrup. And in 2010, Fodor's Travel named the inn's Verterra Restaurant the best in Vermont. What does gourmet dining and five-star hospitality have to do with growing high-quality cannabis? Through his regular interactions with local cheesemakers, Sandelman learned that one of them was having trouble controlling the humidity level in the aging room. As climate control was his forte, Sandelman offered to troubleshoot the problem, then put together a proposal for retrofitting the system. The project succeeded, and word soon spread among other cheesemakers that Sandelman could help them with similar issues. After a decade as innkeepers, the Sandelmans sold their B&B in 2012, giving David time to work on his control systems again full time. He partnered with food-industry consultant Neville McNaughton, who's known as "Dr. Cheese" because he advises farmers on what cheese varieties they're best suited to produce based on the animals they raise, what the animals graze on and the milk they produce. McNaughton's St. Louis-based company, Sanitary Design Industries, also sells stainless steel cheesemaking vats and other food-grade equipment. It now markets and distributes Sandelman's Cannatrol system. Soon after Sandelman began working with McNaughton and SDI, he installed hundreds of cheesemaking control systems throughout North America. That work eventually led him to the world of charcuterie, or cured meats. In fact, on the day of his interview with Seven Days, Sandelman was working on two such systems for VT99 Meats, a partnership of Pete's Greens and Jasper Hill Farm. How did Sandelman make the leap from Gouda to ganja? In the summer of 2017, the American Cheese Society held its annual conference in Denver. Through "a friend of a friend," Sandelman said, he was introduced to one of Colorado's largest cannabis growers, who needed technical assistance with the bud-finishing processes. "It quickly became apparent," Sandelman said, "that what we do for meat and cheese, the same physics apply for the drying and curing of buds." Simply put, reducing the moisture content of a freshly cut cannabis bud is akin to curing salami. If the meat dries too quickly, he explained, water can get trapped inside the casing, a processing error called "case hardening" that turns the meat rancid. If the meat dries too slowly, the product languishes on hooks, which delays production and cuts into profits. The same principles apply to finishing cannabis flowers. Once the buds are cut, Sandelman explained, the moisture content has to be lowered, though not too quickly. Over-dry the plant, and it'll become crispy and break. If the buds aren't sufficiently dried, the plant can grow mold. That not only affects its marketability but is potentially hazardous, especially to medical marijuana patients with compromised immune systems. Either way, such production errors are time-consuming and costly. "There's lots of stories about people growing amazing plants and then not finishing them correctly, not realizing there are a lot of nuances in the finishing process that can affect the results," he added. Actually, Sandelman's trip to Denver last summer wasn't his first run at the cannabis industry. A couple of years ago, he recalled, he tried approaching growers about the concept of applying food-grade technologies to their processes, only to be met with suspicion and dismissiveness. Indeed, efforts to interview some of Sandelman's clients in Colorado were unsuccessful. As Jane explained, "They're very secretive and don't want to talk to anybody." "These guys have been doing it for years, hidden, and [see] anyone else as an outsider," Sandelman added. "In their view, 'What would you know about it?' And they're still looking to buy box fans at Home Depot [to dry their buds]. You don't need to do that anymore." Though Sandelman has now had more than 50 business inquiries from out-of-state commercial growers about his Cannatrol system, "it's been radio silence" from Vermont's dispensaries, he said. One possible explanation is that they simply haven't heard of him, or Cannatrol, yet. But Sandelman also suggested that, like many American cheesemakers, they assume they need to travel to France to find the world's best cheesemaking equipment. Much of it is produced here in the U.S.
That said, Sandelman's best in-state business opportunities might soon emerge among home growers. Though systems for drying meats and aging cheeses are still his bread and butter, he's now developed a home unit for drying and curing buds. Dubbed the Cannatrol Cool Cure Box, it dries and cures buds at precise temperatures and dew points. 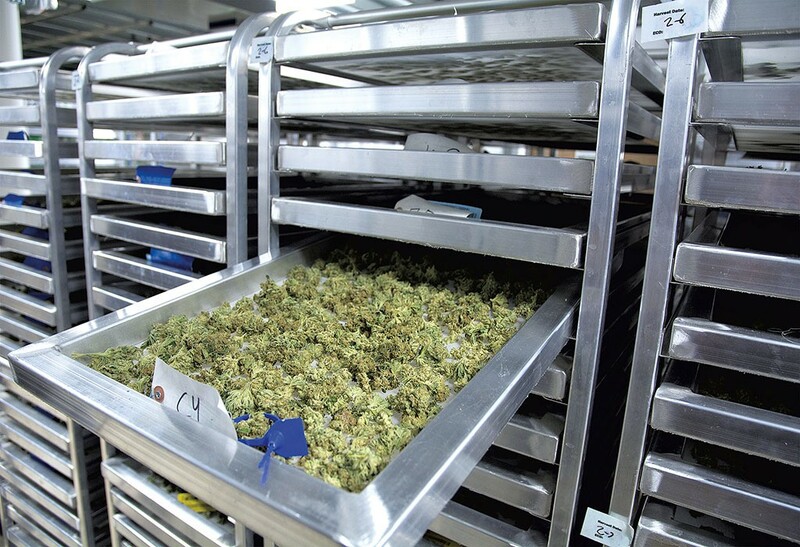 After the plant is harvested, the grower spreads the buds on trays inside and, within three weeks, has precisely dried product. The Cool Cure Box, which is about the size of a dorm-room refrigerator, currently is being tested in Colorado and is expected to be in full-scale commercial production within a year. Just as the California Gold Rush of 1849 made millionaires of entrepreneurs such as pickax makers and shovel salesmen, Vermont's imminent legalization of marijuana is bound to present many opportunities for investors in ancillary businesses that won't be heavily taxed or regulated. "There are huge opportunities for all the supporting technology, where you don't actually have to touch the [cannabis] product," Sandelman said. "People are just coming out of the closets and [from] underground, and we can now start applying some real science and technology that's been established in other industries." The original print version of this article was headlined "Finishing Tool"